On my most recent trip to Parker River National Wildlife Refuge, the only sandpipers I saw and photographed were sanderlings. The exception was this lone semipalmated sandpiper (Calidris pusilla) mixed in with the flock, which gave me a few chances to diversify my photographs from the outing. 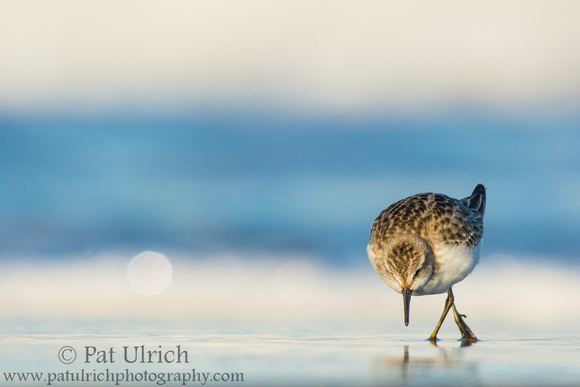 View more of my photographs of sandpipers. 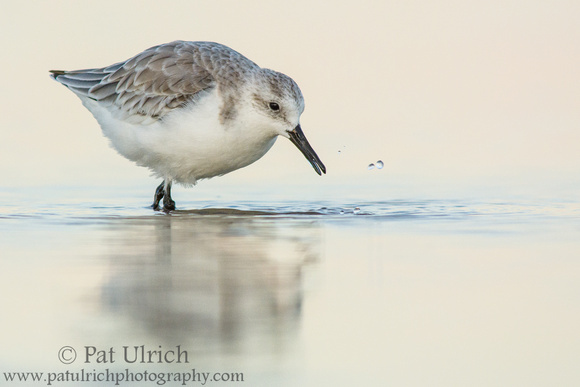 I really enjoy watching sandpipers preen. It's just an ordinary part of their existence, but it's a special moment to share with them. It's sometimes challenging to capture an effective photograph of those moments though, as their mid-preen poses often don't look that elegant in a still frame. If I lay on the shutter release long-enough, occasionally I come away with a rewarding pose -- one that has enough of the eye visible and the bird with reasonable posture. Even better when you get to see it all come together in nice light too! 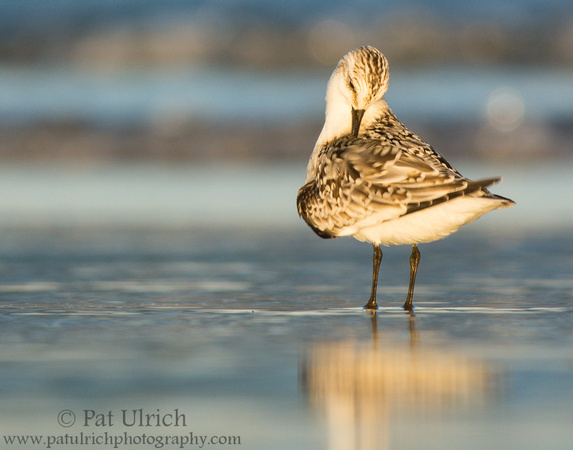 Browse more of my photographs of sanderlings. 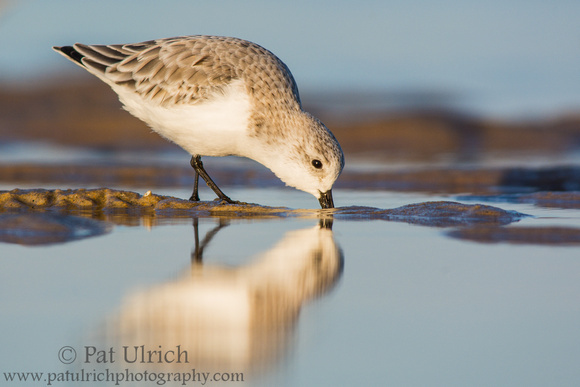 From my evening last weekend with a friendly flock of sanderlings in Parker River National Wildlife Refuge. I spent over 45 minutes with this flock as they went through their evening routine of feeding, preening, and splashing through the calm waters of an ebbing tide at sunset. 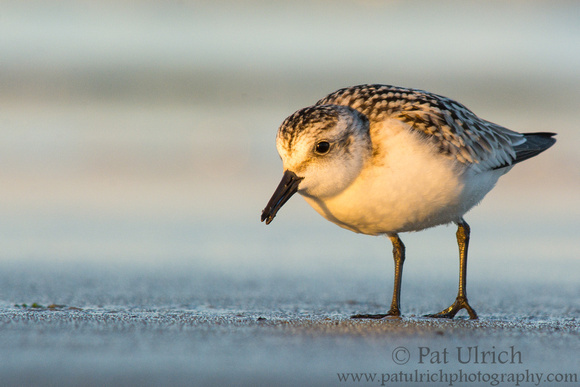 Browse more photographs of sanderlings (Calidris alba).